Brad Rosenheim is a Principal Investigator for SALSA, and is an Associate Professor in the College of Marine Sciences at the University of South Florida. However, he is no stranger to cold places: he’s been to Antarctica before, grew up in New Jersey, and went to the University of Vermont as an undergraduate. Brad chose his course of study due to skepticism of the State of the World 1996, which was required reading his freshman year of college. Instead, he wanted to be behind testing hypotheses about global change, overconsumption, and the carrying capacity of the Earth, rather than reading the numbers and forecasts that he’d seen in State of the World. After earning his B.S. in Environmental Science in 1999, he went on to a Ph.D. program at the University of Miami in Marine Geology and Geophysics. He studied isotopic and chemical records of marine climate change recorded in the skeletons of long-lived sclerosponges in the Caribbean Sea. Brad continued to develop his isotopic toolbox as a postdoctoral investigator at Woods Hole Oceanographic Institution. He developed the technique of ramped pyrolysis radiocarbon dating as part of a team that was developing a new type of gas-accepting accelerator mass spectrometer for 14C analysis. Since then, he has developed many applications of this technique, from river-ocean carbon cycling to tracking of environmental petroleum pollution as an assistant professor at Tulane University. Brad’s recent move to University of South Florida has involved a renewed focus on southern ocean science including applications of ramped pyrolysis radiocarbon dating to sediments around the Antarctic continent, including difficult-to-date sub-ice shelf sediments. A zodiac boat shuttles scientists aboard the RV/IB Laurence M. Gould to King George Island during Brad’s 2012 expedition, LMG 12-02. With sediment from both types of coring operations, the application of ramped pyrolysis radiocarbon dating will provide the most nuanced dating effort to date. The dating will have the ability to provide more precise information about past marine incursion to this site that may have provided organic matter to any communities present in the lake today. 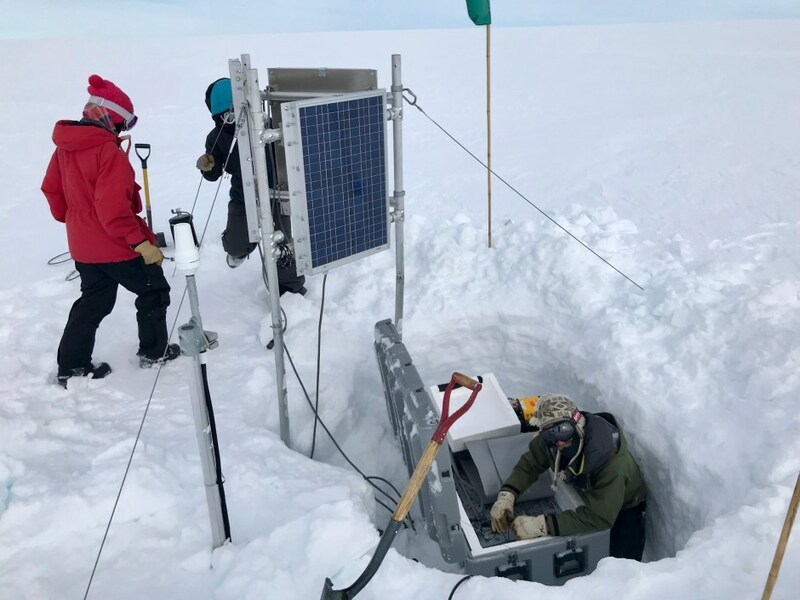 This allows assessment of the trophic base of the Mercer Subglacial Lake ecosystem as well as information about past ice shelf history in this area. Brad Rosenheim (foreground) and Amelia Shevenel (right) pull coordinates from a bathymetric map during expedition LMG 12-02 to the Antarctic Peninsula.